About a month ago, I ordered such a cute top online! What I thought I bought. I thought it would be a great way to welcome spring and welcome myself back home after my residency. 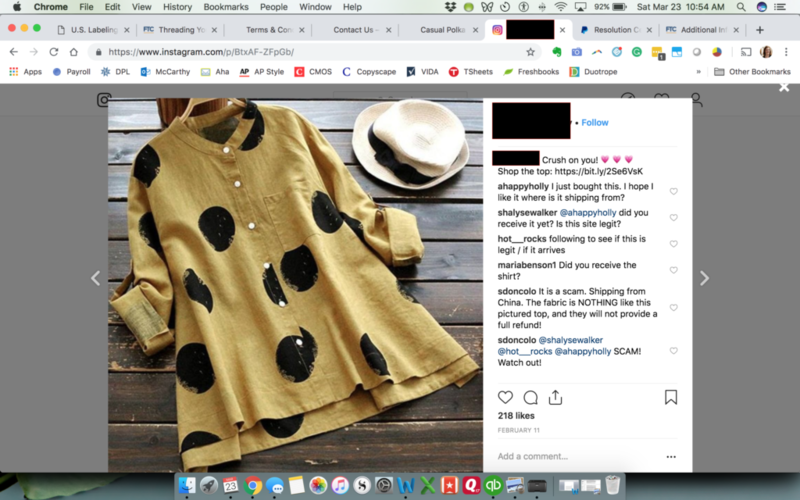 Nice golden-yellow linen/cotton fabric, those ginormous polka dots, the way they look rough at the edges, like they’re painted on. I would look cute and carefree, kinda like this, only with more of me in the shirt because, well, there’s more of me. How I’d look, more or less. I should have known, when I ordered from this company (let’s call them Bodpantsy), that something wouldn’t be right: I had to order a size 4X because that was the size tied to my actual measurements. 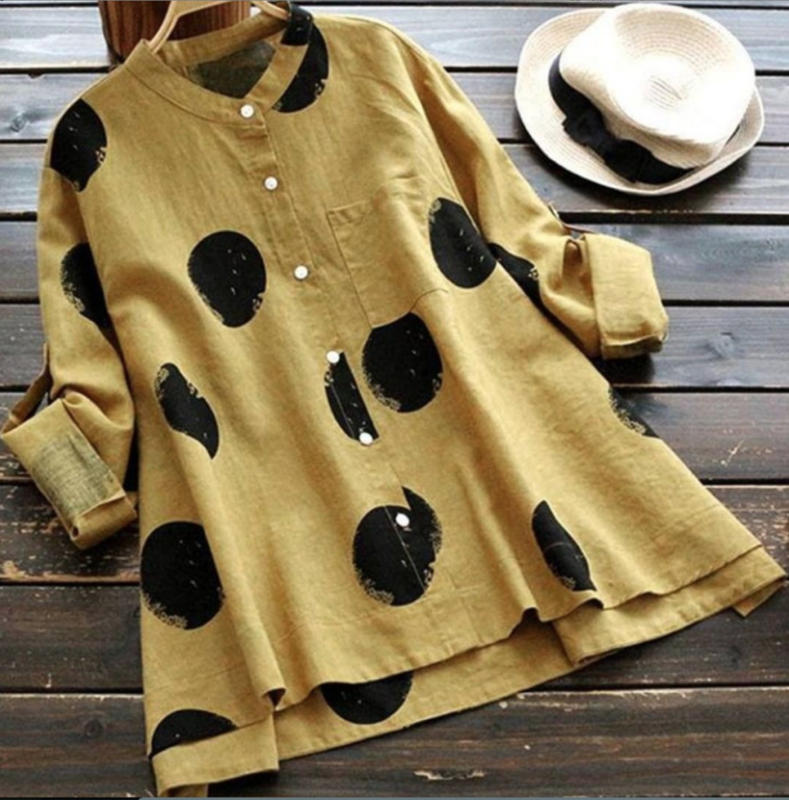 Chalk it up to the color (French’s mustard instead of dijon), the size and number of polka dots, the neck (awkwardly midthroat), the length (almost knee-length, like a dress, instead of hip length), and oh yes, the material, which is a see-through, slippery cotton-poly blend instead of the rough linen-look of the ad. Also the buttons that don’t go all the way down. 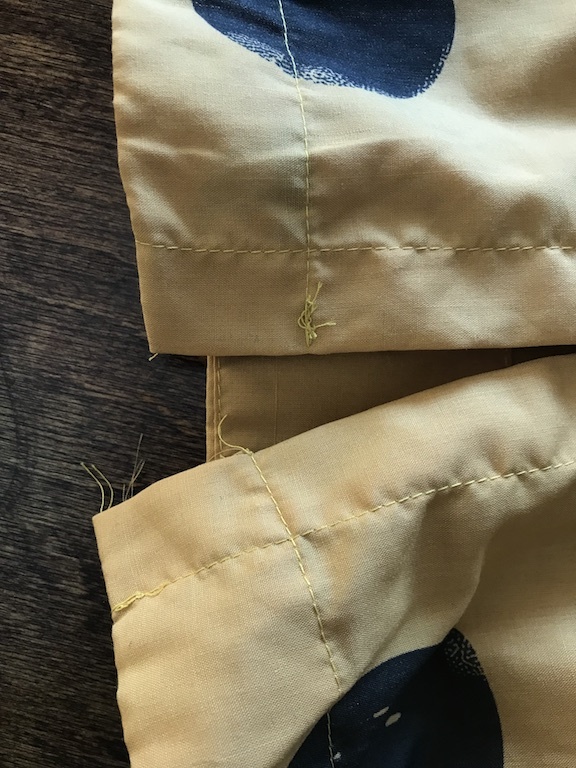 Someone needs to check the tension on their sewing machine. My junior high home ec teacher, Mrs. Kester, would not have passed this project. What the heck IS this thing? What’s it made of? 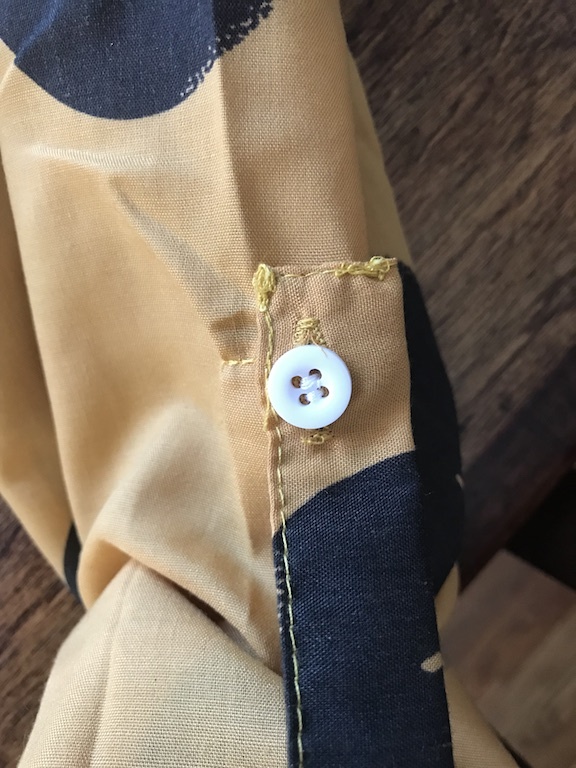 You don’t need to know the fabric. All you need to know is 4X. I could return it, though. No worries! It was as simple as they said. Almost. First, I had to explain why in an email. Then I had to send photos. Then they broke the news to me. 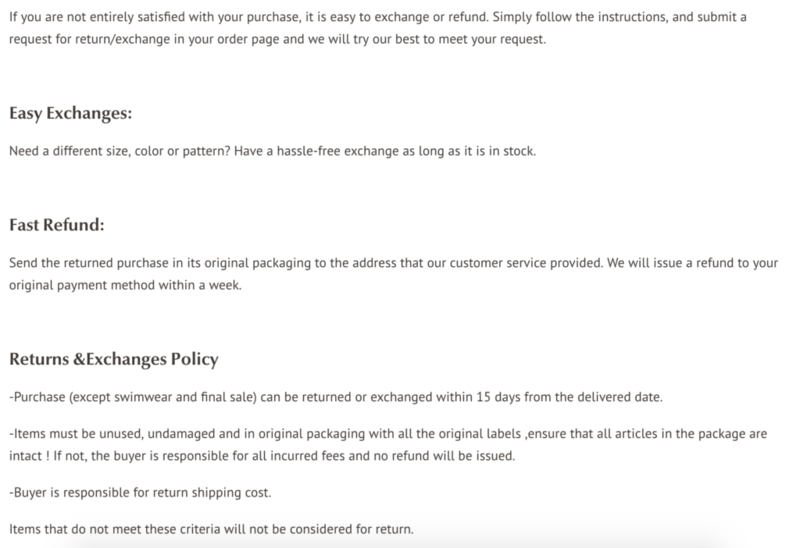 Shipping costs like $15 or more to send back to China. I’m starting to hate them … and kicking myself. I pushed them, but they wouldn’t budge. And you might be surprised to find that I haven’t gotten my $10 back yet. I’ve learned a lot in the process, though. Did you know you can file a dispute with PayPal? You can! But that doesn’t mean they’ll grant it. I was so pleased with myself for buying something with “real money” using PayPal instead of using a credit card, but PayPal thinks the shirt is fine. Also, it’s literally not materially similar” to the seller’s description! Although technically, since I don’t know WTF the actual shirt is made of, I don’t have proof that it’s not “cotton” as listed online. Failing to provide reliable care instructions and warnings for the useful life of an item is a violation of the FTC Act. Violators are subject to enforcement actions and penalties of up to $16,000 for each offense. In enforcement actions, the FTC contends that each mislabeled garment is a violation. Since 1990, the FTC has brought 16 enforcement actions; 15 were resolved by settlements and one was litigated. Penalties have ranged as high as $300,000. I’ve also learned that Facebook believes this kind of advertising is not legitimate and has removed the advertiser. 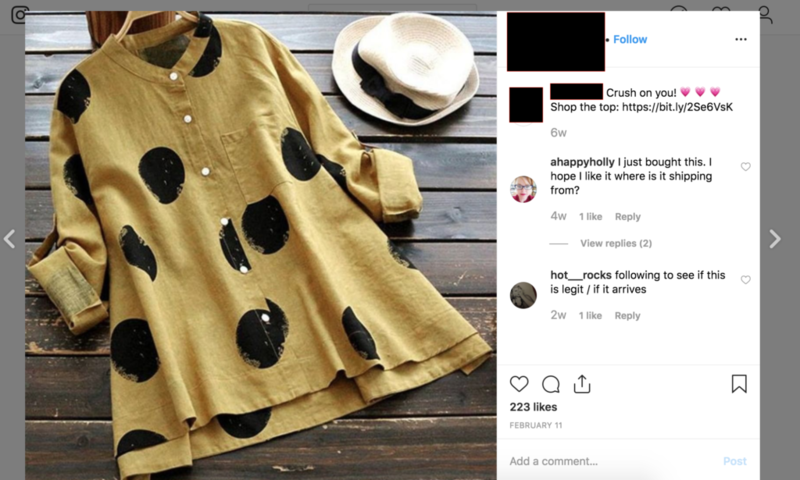 Instagram doesn’t care—in fact, doesn’t even have any useful dispute categories to check the deceptive advertising behavior. 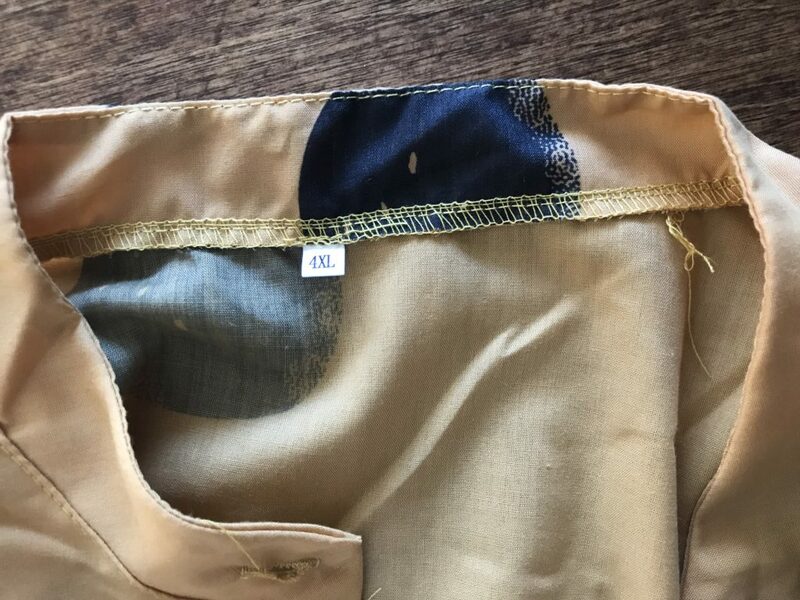 “Bodpantsy” continues to promote garments on Instagram. You’ll see in the comments questions about the item, and the company leaves those comments. But responses that provide actual information (such as the site is not providing good quality material) are deleted. March 23: I tried to help others avoid my situation. March 26: Negative comments removed. They remove negative comments on their own site, too. Can you tell this has me steamed?? Check the return policy. Scan carefully for any weird language that might indicate the company doesn’t have a location in your country. Look at “about us” and “policies” to be sure there aren’t inconsistencies that indicate the company might not be what it says it is. On their website, do you see only 5-star reviews? I know this SO WELL with companies like Amazon, but I got lazy—but all positive reviews likely means they are deleting any less-than-stellar feedback. Buy with a credit card, not PayPal, so you might have a little more leverage in getting a refund. And you can’t trust Instagram advertising. Go figure! 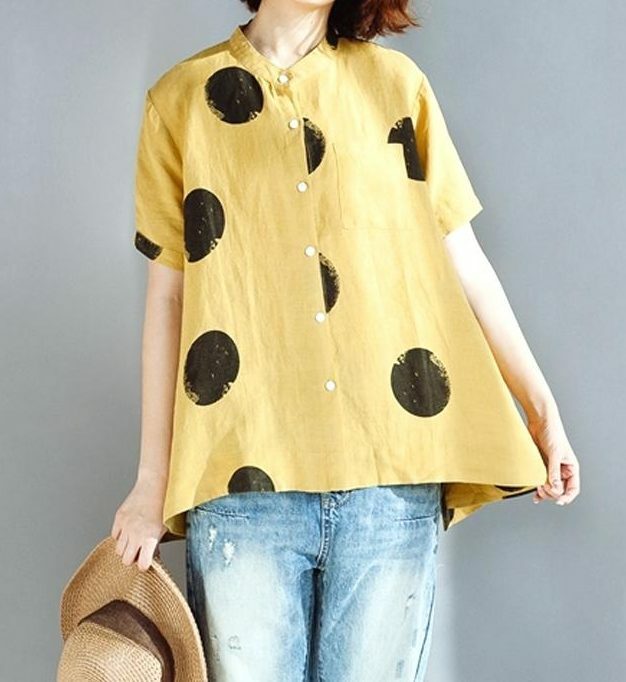 Meanwhile, anyone want a mustard-colored, polka-dot tent? “Bodpantsy” assures me all my friends and relatives would love to have it as a gift!